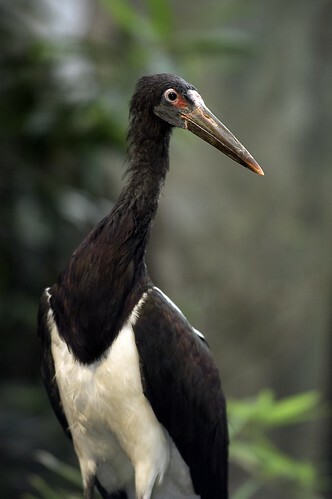 The Abdim's stork is a long-limbed bird with black feathers accented by white portions under the wings. The skin on the face is red and blue. 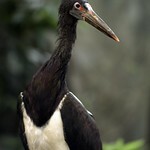 Among the smallest of the storks, these birds still stand nearly 3 feet tall. Females are slightly smaller than males. This species is distributed throughout eastern and southern Africa. They are common throughout their range. 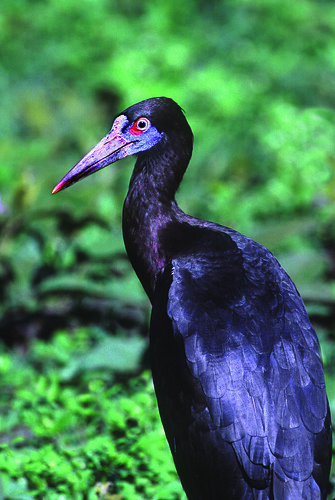 Lincoln Park Zoo participates in the Abdim's Stork Species Survival Plan®, a shared management effort by zoos throughout the Association of Zoos and Aquariums. 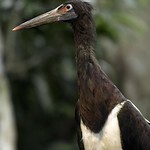 Abdim's storks occupy open grasslands, usually near water. They will also occupy dry zones. Abdim's storks congregate in large flocks of up to 10,000 birds. They eat locusts and caterpillars, in addition to small reptiles and amphibians, mice, crabs and eggs. These storks migrate north to exploit the rains in spring. This annual arrival has earned Abdim's storks the nickname of "rain-bringers" in regions that depend on precipitation for their crops. 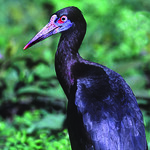 Among some, superstition demands that these birds remain undisturbed. Females lay two to three eggs at a time. This species' name credits Governor Bey El-Arnaut Abdim (1780–1827). 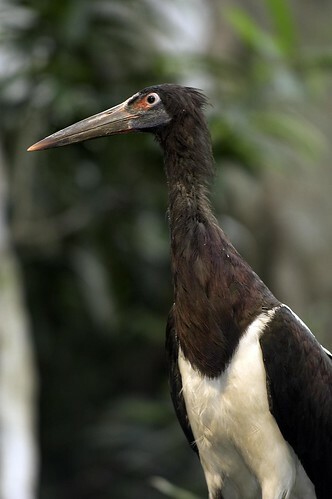 In some regions, Abdim's storks are known as "grasshopper birds," due to their taste for the critters. Like other storks, these birds defecate on their legs, which helps them maintain body temperature via evaporative cooling.